President’s Day isn’t too far off! But honestly (Honest Abe, that is) we enjoy reading about the presidents any time of the year with these childrens books about presidents! 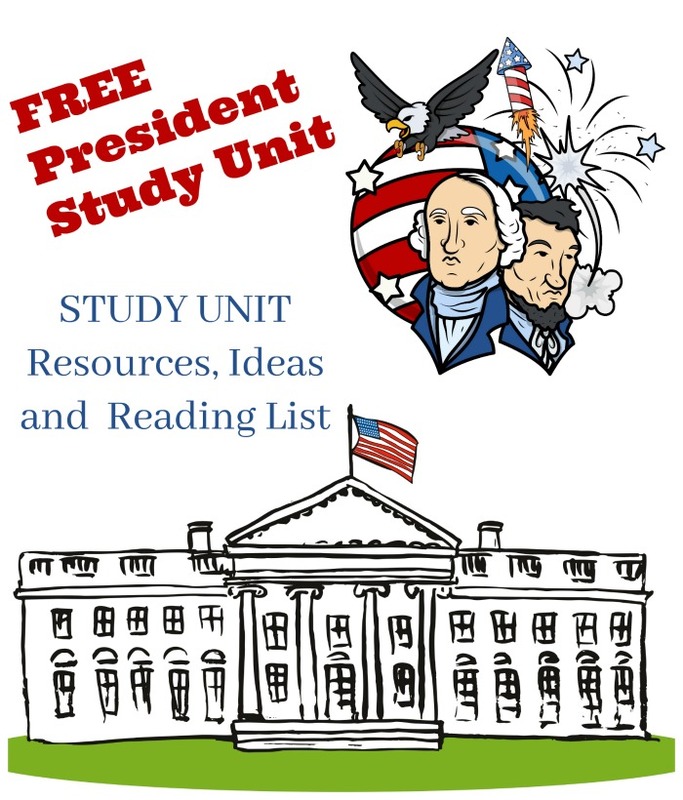 In addition to recommending books about presidents for kids, I’ve teamed up with some fellow bloggers to offer you homeschool and classroom President Unit Study ideas and resources to teach kids about all of our United States presidents! 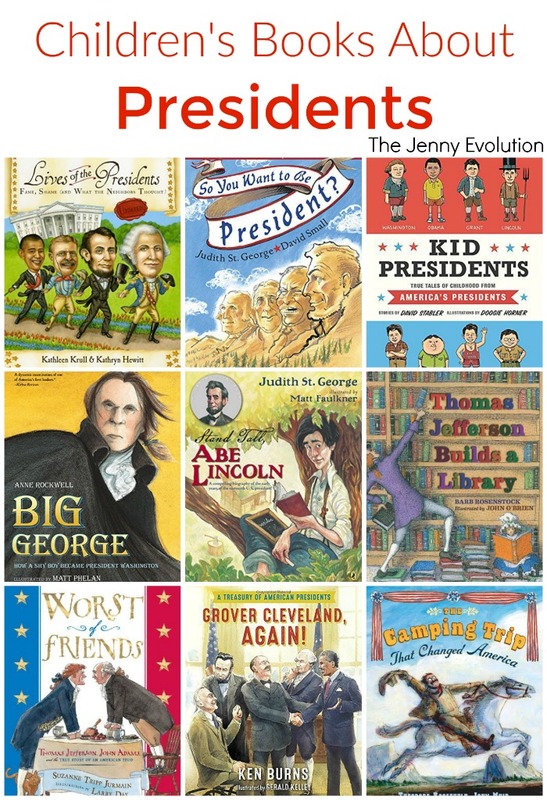 You can find these children books about presidents at your local library or purchase through the affiliate links provided for your convenience. 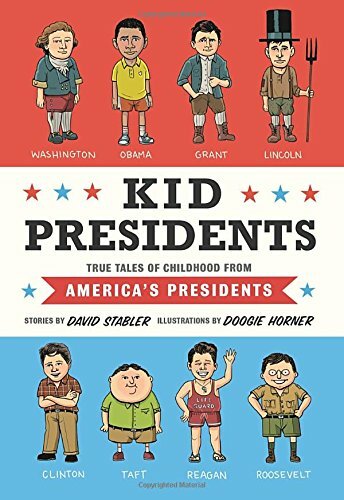 Kid Presidents: True Tales of Childhood from America’s Presidents (Kid Legends): Forget the legends. Ignore the tall tales. The kids who grew up to be president weren’t superheroes. They had regular-kid problems just like you. John F. Kennedy hated his big brother. Lyndon Johnson pulled pranks in class. Barack Obama was bothered by bullies. And Bill Clinton was crazy clumsy (he once broke his leg jumping rope). Kid Presidents tells all of their stories and more with full-color cartoon illustrations on every page. History has never been this much fun! Smart About the Presidents (Smart About History): Kids will love discovering the floor plan of the White House, a list of presidential perks, and lots of interesting info about all the presidents, from George Washington to Barack Obama. (Did you know he is the only president born in Hawaii?) Each page is jam-packed with trivia, fun facts, and information on the historical events of each presidency. Grover Cleveland, Again! : A Treasury of American Presidents: This special treasury from America’s beloved documentarian Ken Burns brings the presidents to life for our nation’s children. 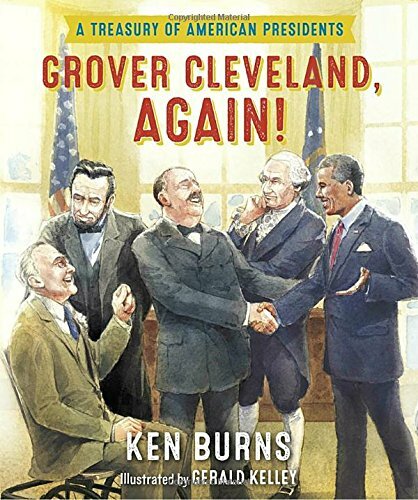 Each president is given a lushly illustrated spread with curated stories and information to give readers of all ages a comprehensive view of the varied and fascinating characters who have led our nation (with the exception of Grover Cleveland–the only president to serve two non-consecutive terms–who gets two spreads!). A must-have for Ken’s many fans, classrooms, and anyone who wishes to gain a greater understanding and appreciation for our country. Big George: How a Shy Boy Became President Washington: Before he was the face on the dollar bill, George Washington was a shy boy with a hot temper. But George had character and adaptability. He taught himself courage and self-control. At an early age, and without really realizing it, George Washington gathered the qualities he’d need to become one of the greatest leaders America has ever known. 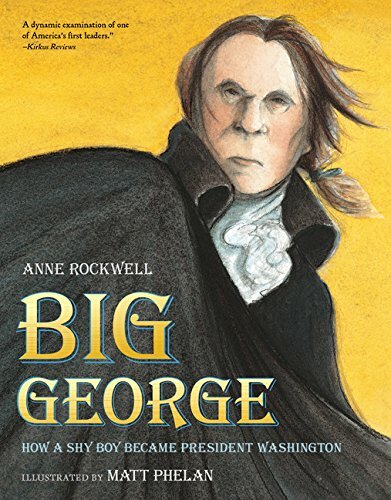 Anne Rockwell’s prose is dignified, Matt Phelan’s illustrations are striking, and the details they reveal about George Washington’s early days are fascinating, sometimes tragic, and always moving. 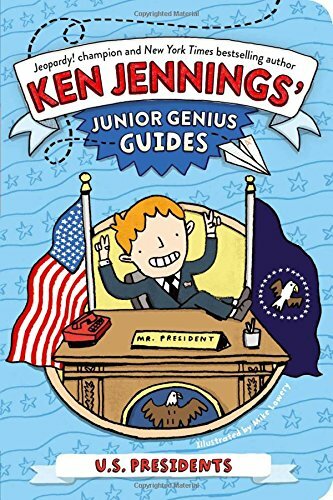 U.S. Presidents (Ken Jennings’ Junior Genius Guides): With this book about U.S. Presidents, you’ll become an expert and wow your friends and teachers with clever facts: Did you know that Abraham Lincoln made Thanksgiving a national holiday? Or that Jefferson introduced the first French fries at a fancy state dinner? With great illustrations, cool trivia, and fun quizzes to test your knowledge, this patriotic genius guide will have you on your way to whiz-kid status in no time! 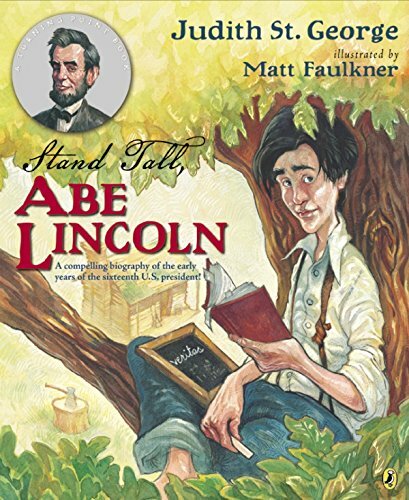 Stand Tall, Abe Lincoln: A Compelling Biography of the Early Years of the Sixteenth U.S. President! : Abraham Lincoln grew up poor and without schooling in a Kentucky wilderness and lost his mother before he was ten. It was sparkplug Sally Bush Johnston, who later married Abe’s father, brought a library of books to their log cabin home, and believed in Abe from the beginning. Her confidence in him was an inspiring turning point for young Abe, who went on to become one of the most revered and respected presidents in United States history. 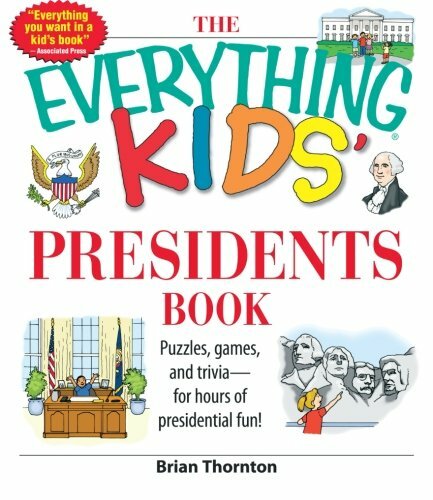 The Everything Kids’ Presidents Book: Puzzles, Games and Trivia – for Hours of Presidential Fun: Did George Washington really cut down his father’s cherry tree? Who was the last president to have facial hair? Which U.S. president had a country’s capital city named after him? Which president earned the nickname, “His Accidency” With The Everything Kids’ Presidents Book, you’ll be at the head of your class after learning about the lives, legacies, and impact that our country’s 44 leaders had on the history of the United States. 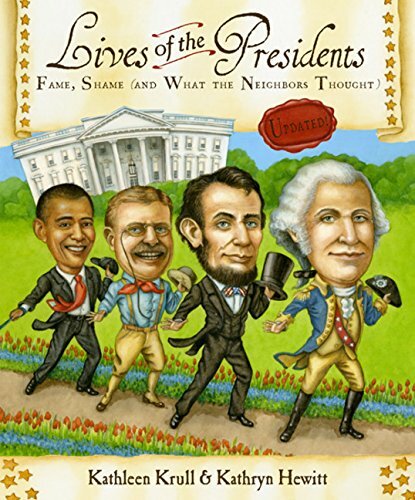 Filled with fun facts, trivia, and 30 puzzles, The Everything Kids’ Presidents Book introduces you to everyone from our first president, George Washington, to the man currently residing in the White House, George W. Bush. Learning about the people who shaped the history of our country has never been so much fun! 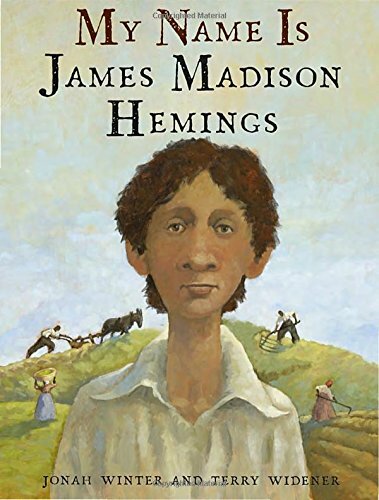 My Name Is James Madison Hemings: In an evocative first-person account accompanied by exquisite artwork, Winter and Widener tell the story of James Madison Hemings’s childhood at Monticello, and, in doing so, illuminate the many contradictions in Jefferson’s life and legacy. Though Jefferson lived in a mansion, Hemings and his siblings lived in a single room. While Jefferson doted on his white grandchildren, he never showed affection to his enslaved children. Though he kept the Hemings boys from hard field labor—instead sending them to work in the carpentry shop—Jefferson nevertheless listed the children in his “Farm Book” along with the sheep, hogs, and other property. Here is a profound and moving account of one family’s history, which is also America’s history. We Elect a President: The Story of Our Electoral College: America’s unique presidential election system is often misunderstood-and perhaps especially hard to explain to our children. “We Elect a President: The Story of Our Electoral College” will help you and your family discover more about the Electoral College and its remarkable history. Why was it created in the first place? Does it still work today? Written in straightforward language and complemented with playful illustrations, “We Elect a President” explains how the Electoral College works and why it is still needed in a great, diverse country such as our own: As the Founders intended, the system continues to protect our republic and promote our liberty. 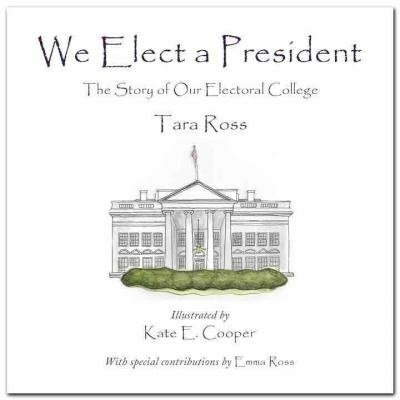 “We Elect a President” is written by Electoral College expert Tara Ross and illustrated by Kate E. Cooper. It presents a fun, yet educational way to learn more about America’s too-often misunderstood presidential election system. 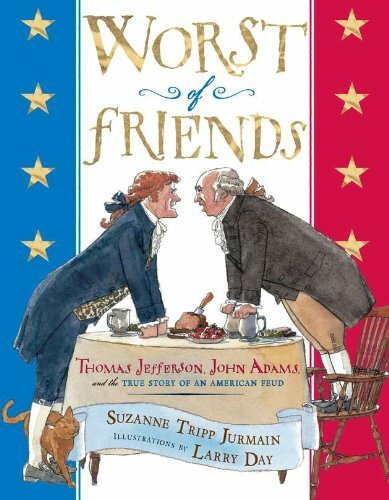 Worst of Friends: Thomas Jefferson, John Adams and the True Story of an American Feud: John Adams and Thomas Jefferson were good friends with very different personalities. But their differing views on how to run the newly created United States turned them into the worst of friends. They each became leaders of opposing political parties, and their rivalry followed them to the White House. Full of both history and humor, this is the story of two of America’s most well-known presidents and how they learned to put their political differences aside for the sake of friendship. Brain Quest Presidents: Brain Quest Presidents has been thoroughly updated with fresh and appealing designs for the cards and revised content―that’s hundreds of brand-new questions. Drawn from first-through sixth-grade curricula, the material aligns with state and national standards and is vetted by an award-winning teacher. Which President doubled the size of the U.S. with the Louisiana Purchase? How does a President get takeout pizza? Brain Quest Presidents delivers 850 fascinating questions and answers about the highest office in the land, and the men who have held it. Brain Quest proves it’s not just fun to be smart―it’s smart to be smart. Thomas Jefferson Builds a Library: As soon as Thomas Jefferson learned to read, he found his passion: books, books, and more books! Before, during, and after the American Revolution, Jefferson collected thousands of books on hundreds of subjects. In fact, his massive collection eventually helped rebuild the Library of Congress—now the largest library in the world. 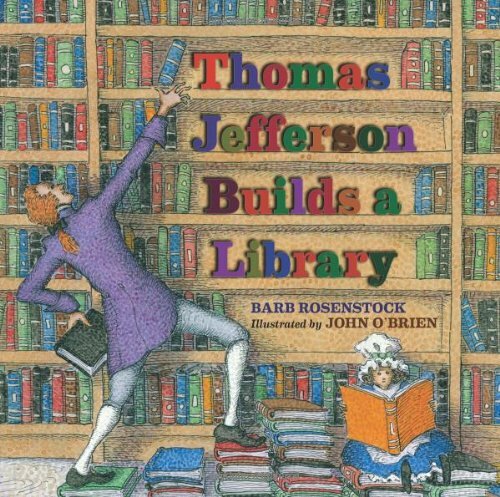 Barb Rosenstock’s rhythmic words and John O’Brien’s whimsical illustrations capture Jefferson’s passion for the written word as well as little-known details about book collecting. Author and artist worked closely with experts to create the first picture book on Jefferson’s love of reading, writing, and books. An author’s note, bibliography, and source notes for quotations are also included. So You Want to Be President? 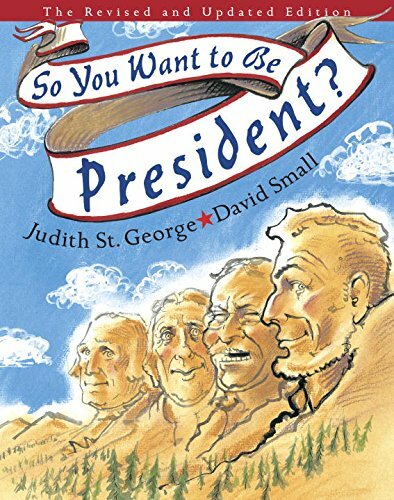 : The Revised and Updated Edition: This new version of the Caldecott-winning classic by illustrator David Small and author Judith St. George is updated with current facts and new illustrations to include our forty-second president, George W. Bush. There are now three Georges in the catalog of presidential names, a Bush alongside the presidential family tree, and a new face on the endpaper portraiture. Hilariously illustrated by Small, this celebration by St. George shows us the foibles, quirks and humanity of forty-two men who have risen to one of the most powerful positions in the world. Perfect for this election year–and every year! Lives of the Presidents: Fame, Shame (and What the Neighbors Thought): Every U.S. president is the focus of public scrutiny, but how well do we know these men? What kind of fathers do presidents make? Husbands? Neighbors? 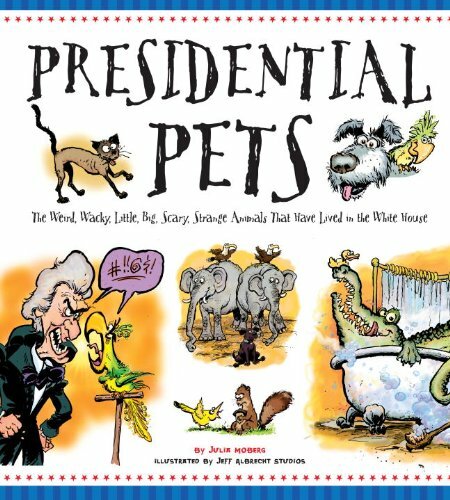 Other books focus on the historical achievements of those who have occupied our country’s highest office; Lives of the Presidents looks instead at their bad habits, silly nicknames, and strange pets. Every president–from George Washington to Bill Clinton–is included, with an emphasis on those who have had the greatest impact on history. 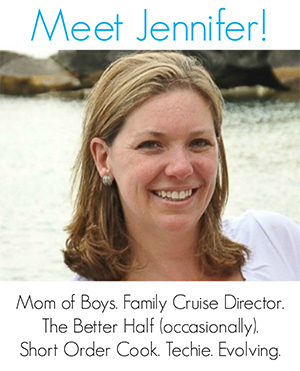 Discover their high points, low points, and the times in between. In this stunning addition to their acclaimed series, Kathleen Krull and Kathryn Hewitt take us beyond politics and photo opportunities, revealing the entertaining, complex, and very real lives of the presidents. Presidential Pets: The Weird, Wacky, Little, Big, Scary, Strange Animals That Have Lived In The White House: Did you know that John Quincy Adams kept an alligator in the bathtub, while Thomas Jefferson’s pride and joy was his pair of bear cubs? Andrew Jackson had a potty-mouthed parrot, and Martin Van Buren got into a fight with Congress over his two baby tigers. Find out all about the weird, wacky, little, big, scary, strange animals that have lived in the White House. Perfect for election year collections and displays. Pair with White House Kids for double the White House shenanigans. 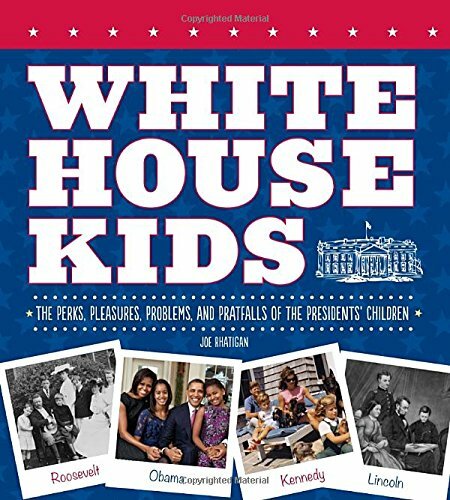 White House Kids: The Perks, Pleasures, Problems, and Pratfalls of the Presidents’ Children: Living in America’s most famous residence might seem glamorous at first–it’s the most fun place any kid could live! There’s a bowling alley in the basement, chefs are always available to prepare whatever you’re craving, and sometimes presidential aides will even help you with your homework! But life isn’t always easy for the youngsters who call the White House home. They’re always in the spotlight, and those pesky Secret Service agents are always around. For every perk, there’s a problem. From Washington to Obama, see the White House through the eyes of the children and grandchildren. Filled with wacky, weird, and wonderful stories, it shows what it’s like to call the president Dad (or Granddad or Uncle). Find out what schools they went to, what mischief they caused, and what pets they had. There are first-person accounts from letters and interviews, fascinating photos, original illustrations, and even a section that follows the children after they left the White House. 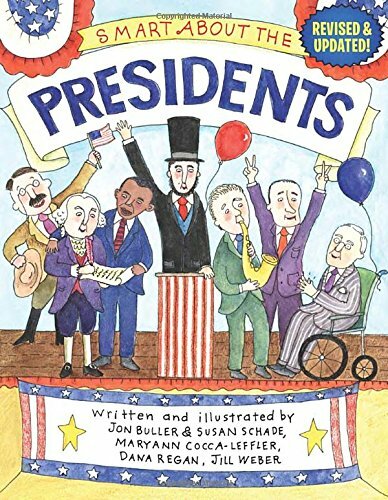 Like these childrens books about presidents? Find even more engaging book lists for kids with more than 100 book-themed reading lists! In addition to recommending books about presidents for kids, I’ve teamed up with some fellow bloggers to offer you homeschool and classroom President Unit Study ideas and resources to teach kids about all of our United States presidents! These unit study resources may contain affiliate links. My kids love reading books like this! I still remember when I would read my own little kid U.S. history books and spout all these facts that annoyed my parents. Now I know how my parents feel I guess! Thanks for this list though! Hadn’t heard of very many of these! Ha! I know what you mean… my kiddos do get a kick out of hearing all of the interesting stories about our presidents…. from starting libraries to creating national parks, the individual books that talk about the earmark actions have grabbed their attention over the years. Such a great list! 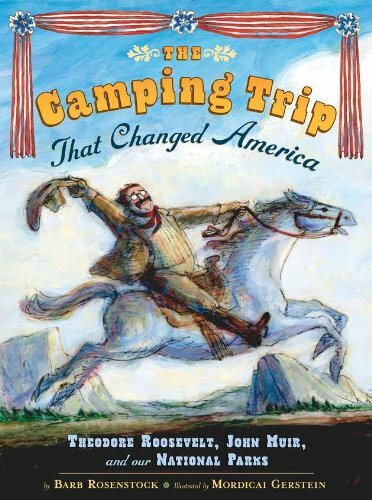 We loved The Camping Trip That Changed America. Pinned. Can you believe Donald Trump is going to be in our children’s history books? Thanks for this list though! It is so important to teach our children the past.